And this explanation isn’t confined to the first three chapters of Genesis but is found throughout the scriptures. If it is false, then all of scripture can be reckoned as false as well. And there are significant consequences if the scriptures aren’t true. 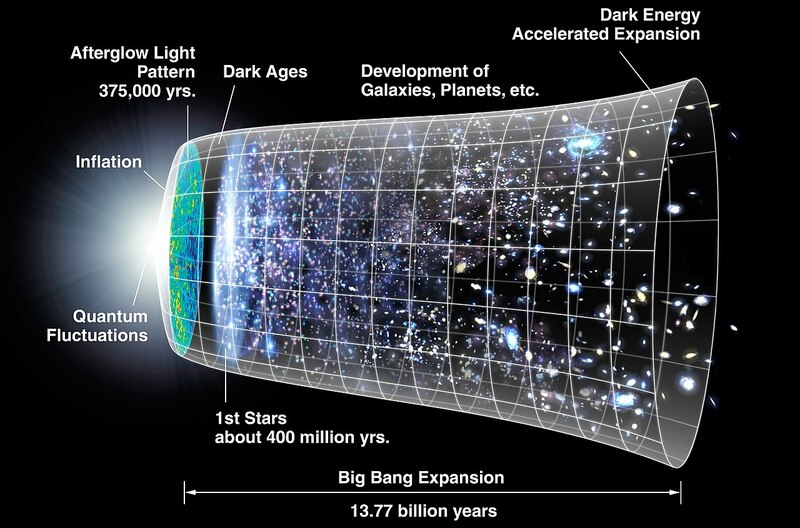 When Genesis speaks of a beginning, it is referring to the advent of the universe in time and space. It is not positing a beginning to God but a beginning to the creative work of God…Genesis merely asserts that the universe had a beginning…We declare with Scripture that God is eternal…Does His eternality mean that He is somehow outside of time, that He is timeless? Or does His eternality mean that He exists in an endless dimension of time? [Whichever way] we answer this question; we conclude that God Himself never had a beginning. He exists infinitely with respect to space and eternally with respect to time. His existence has neither a starting point nor an ending point. The dimensions of His existence are from everlasting to everlasting. This means that He always has been and always will be. Because God Himself had no beginning, He was already there in the beginning. He antedates the created order. When we affirm that God is eternal, we are also saying that He possesses the attribute of aseity, or self-existence. This means that God eternally has existed of Himself and in Himself. He is not a contingent being. He did not derive from some other source. He is not dependent on any power outside Himself to exist…He is not an effect of some antecedent cause. In a word, He is not a creature. No creature has the power of being in and of itself. All creatures are contingent, derived, and dependent. This is the essence of their creatureliness. Thinkers hostile to theism have sought every means imaginable to provide a rational alternative to the notion of an eternal, self-existent deity. Some have argued for an eternal universe, though with great difficulty. Usually the temporal beginning of the universe is granted, but with a reluctance to assign its cause to an eternal, self-existent being. The usual alternative is some sort of self-creation, which, in whatever form it takes, falls into irrationality and absurdity. To assert the self-creation of anything is to leap into the abyss of the absurd because for something to create itself, it would have had to exist before it existed to do the job. It would have had to be and not be at the same time and in the same relationship. …If there ever was a time when absolutely nothing existed, all there could possibly be now is nothing. Even that statement is problematic because there can never be nothing; if nothing ever was, then it would be something and not nothing. The attack upon the Genesis account doesn’t stop at nothing, though. There is too much at stake. Another avenue is the reconciliation of the apparent age of the universe with the days of creation described in Genesis’s first two chapters. The church has been on the ropes over this one for decades if not longer. …God had, at some moment or other, created the universe complete with all the vestiges of an imaginary past…Extravagant…if one thinks of God as a [scientist]…but, if one thinks of Him as working in the same sort of way as a creative artist, then [it seems] the most natural thing in the world. Albert Mohler, in his sermon: “Why Does the Universe Look So Old?” says, “because the Creator made it whole,” that is, fully developed, and it “bares testimony to the effects of sin and testimony to the judgment of God.” This last point merits development. Clearly, God’s curse on humanity materially affected all creation, including the earth itself, with corruption. For self-consistency, that corruption naturally must include dead creatures. Therefore, if the Genesis account is true, how should we then respond? [Earlier, the Apostle John] said, “He gave us commandment that we should love one another.” How [can you] be said to love Him whose commandment [you hate]? Who shall say, I love the emperor, but I hate his laws? In this the emperor understands whether [you] love him, that his laws be observed throughout the provinces. Our Emperor’s [i.e., Christ’s] law, what is it? “A new commandment give I unto you, that you love one another.” [You say] then, that [you love] Christ: keep His commandment, and love thy brother. But if [you] love not [your] brother, how [can you] be said to love Him whose commandment [you despise]? …The real reason which makes [our] obedience to [the command to love one another] difficult is the slackness of our own hold on the Centre. In the measure in which we are filled with Jesus Christ, in that measure will that expression of His spirit and His life become natural to us. Every Christian has affinities with every other Christian, in the depths of his being, [in such manner] that he is a great deal more like his brother, who is possessor of ‘like precious faith,’ however unlike the two may be in outlook, in [distinctive habits], and culture and in creed, than he is to another man with whom he may have a far closer sympathy in all these matters than he has with the brother in question, but from whom he is parted by this, that the one trusts and loves and obeys Jesus Christ, and the other does not. So, for individuals and for churches, the commandment takes this shape—Go down to the depths and you will find that you are closer to the Christian man or community which seems furthest from you, than you are to the non-Christian who seems nearest to you. Therefore, let your love follow your kinship, and your heart recognize the oneness that knits you together. That is a revolutionary commandment; what would become of our present organizations of Christianity if it were obeyed? That is a revolutionary commandment; what would become of our individual relations to the whole family who, in every place, and in many tongues, and with many creeds, call on Jesus as on their Lord, their Lord and ours, if it were obeyed? Here we see again that Christ directs us to make the invisible (i.e., our following Him) visible to the world through our deeds of heartfelt sacrificial love towards one another. Let us act accordingly. But the hour cometh. …To show that God does not choose to be worshipped either in Jerusalem or in mount Gerizim, he takes a higher principle, that the true worship of Him consists in the spirit; …hence it follows that in all places He may be properly worshipped. Why, and in what sense, is the worship of God called spiritual? The worship of God is said to consist in the spirit, because it is nothing else than that inward faith of the heart which produces prayer, and, next, purity of conscience and self-denial, that we may be dedicated to obedience to God as holy sacrifices. But the Old Testament Church had elaborate ceremonies in their public worship. Did they worship in spirit and truth under the Law? I reply, as God is always like himself, he did not from the beginning of the world approve of any other worship than that which is spiritual, and which agrees with his own nature. …Moses…declares in many passages that the Law has no other object than that the people may cleave to God with faith and a pure conscience. …Thus we may justly say that the worship [described in] the Law was spiritual in its substance, but, in respect of its form, it was somewhat earthly and carnal; for the whole of that economy, the reality of which is now fully manifested, consisted of shadows. …In all ages God wished to be worshipped by faith, prayer, thanksgiving, purity of heart, and innocence of life; and at no time did he delight in any other sacrifices. But what about public worship in today’s visible Church? …There are indeed among ourselves, in the present day, some outward exercises of godliness, which our weakness renders necessary, but such is the moderation and sobriety of them, that they do not obscure the plain truth of Christ. In short, what was exhibited to the fathers under figures and shadows is now openly displayed. …Thus all who oppress the Church with an excessive multitude of ceremonies, do what is in their power to deprive the Church of the presence of Christ. I [dismiss] the vain excuses which they plead, that many persons in the present day have as much need of those aids as the Jews had in ancient times. It is always our duty to inquire by what order the Lord wished his Church to be governed, for He alone knows thoroughly what is expedient for us. So why was there a difference between the Old and New Testament Churches? The true worshippers. … Knowing that the world would never be entirely free from superstitions, [Christ] thus separates the devout and upright worshippers from those who were false and hypocritical. …What it is to worship God in spirit and truth appears clearly from what has been already said. It is to lay aside the entanglements of ancient ceremonies, and to retain merely what is spiritual in the worship of God; for the truth of the worship of God consists in the spirit, and ceremonies are but a sort of appendage. Finally, why is worship not elaborate ceremony but in spirit and truth? God is a Spirit. …God is so far from being like us, that those things which please us most are the objects of his loathing and abhorrence…As we cannot ascend to the height of God, let us remember that we ought to seek from His word the rule by which we are governed. Christ simply declares here that his Father is of a spiritual nature, and, therefore, is not moved by frivolous matters, as men, through the lightness and unsteadiness of their character, are wont to be. As Mark Dever preaches, our whole lives are acts of worship if they’re lived in obedience to God. Our public worship consists of: prayer, singing, hearing the Word read, hearing the Word preached, and participating in baptism and the Lord’s supper. Worship is hearing God’s word and responding to it in obedience.